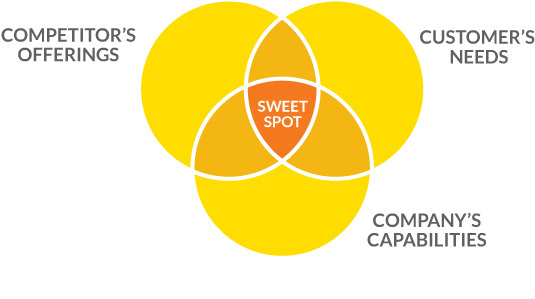 Brand positioning is all about finding the sweet spot between what you do well, what your customers don’t do well and what the current market wants. Effective positioning should be meaningful to consumers, credible/believable, unique to your brand and durable over time. Our proven brand strategy applies principles in a way that will draw an audience, keep them engaged and move them to act or buy.